Jump on the bandwagon to fortunes with the latest release by Amatic - Magic Owl.discover magic with this slot as you try and spin the reels for big wins, as you steer through the dark and rainy night. Explore the mystery which gives you the sense of impending doom by playing this amazing game. Magic Owl is a 5-reel, 4-row and 50 payline slot with tons of bonus features to get you hooked.So get ready to explore this magic slot and find out the secrets which are hidden within. Magic Owl takes on a Fantasy and magical theme. This shot incorporates different magical symbols which supports the theme perfectly ensuring that players have tons of excitement. The characters are displayed in a classical 2D manner plus there is a soundtrack which supports the theme of the slot. This soundtrack will always nudge you to continue spinning the reels of the slot.The graphics are superb and will allow for quick game loading. You can enjoy this game from multiple devices such as a desktop computer or mobile phone. 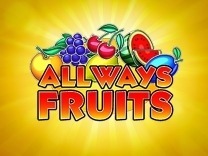 There is no download required for you to enjoy playing this slot as you can load it on your web browser.If you are looking for a slot which is fun and exciting to play, then this is the slot to choose. 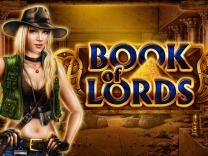 It is a medium variance slot and allows regular pays between plays. If you are looking to land a big win, then you need to be patient and continue spinning the reels. One of the main characteristics about Amatic is their amazing mindset which is always centred on the player. This slot demonstrates this as you will find that there are different characters which will give you fun and excitement. These characters include an owl, candle, and a Chalice. These are the high paying symbols in the slot with the highest amount which is paid out being 25,000 coins for matching 5 of the owl symbols, while the lowest amount which is paid out is 1500 coins for matching 3 of the candle and chalice symbols. There are also generic card symbols which are incorporated into this slot. These symbols are the low paying symbols and include A, K, Q and J. These symbols pay a high of 7500 coins and a low of 500 coins for matching 5 and 3 symbols on a payline.Before you can begin playing this slot, you have to understand the gameplay. You will be required to set a wager and you can do this by adjusting the bet per line and the lines. This can be done through the bet and line buttons located at the bottom of the slot. The slot allows players to set a line bet of between 1 and 100. you can also set your paylines to between 10 and 50 lines. In Magic Owl, you will find 50 paylines which will give you multiple chances to make winning combinations with each spin. You have to match at least 3 symbols on an active payline to receive a payout.Watch out for the Wild, represented by the lady, as this is the best symbol in Magic Owl. Matching 5 of these symbols will award you up to 50,000 coins. While you will get a wonderful base game, you will be amazed by the bonus features which have been incorporated into this slot. There are bonus spins, a wild and a gamble feature which will allow you to land big wins.The wild symbol is the top paying symbol in the slot and also substitutes all other symbols in the slot except the bonus symbol. This is to allow you to make winning combinations whenever you spin the reels.There is also a scatter symbol which awards bonus spins. To trigger the bonus spins, you have to match 3 scatter symbols on any position which will then trigger 5 bonus spins. You will be required to play the bonus spins feature until you do not have any bonus spins remaining. Whenever you are playing the bonus spins, the wild and the owl will merge into one symbol.Finally, there is the gamble feature. 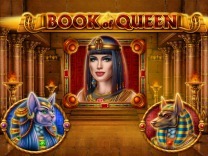 This feature is presented as a card guessing game and is tied to the base game winnings. Whenever you land a win, you will be prompted to click the gamble button to activate this feature. You will then be transported to a second screen where you will be presented with cards and required to choose the correct colour between black and red or the card suit so as to double or quadruple your winnings. Incorrect guesses mean forfeiting your wins.